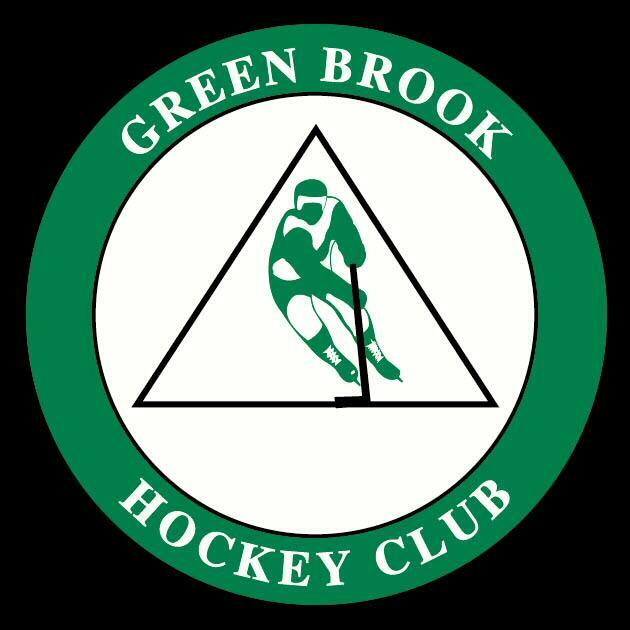 The Green Brook Hockey Club (GBHC)is a non-profit recreational inline hockey league for boys and girls aged 5 through 17. Our league was established in 1999 and are celebrating our 35th season of hockey Spring 2017. Players are assigned to teams in their age group and play a regular season and playoff schedule. We play 2 seasons each year, Spring (March-June) and Fall (September-November) The rink is located behind the Green Brook Middle School off of Jefferson Avenue in Green Brook, NJ. What type of equipment is required for our players? The type of equipment that is required for our players is as follows: H.E.C.C approved hockey helmet, hockey gloves, elbow pads, knee & shin pads, inline skates, hockey stick, and athletic supporter & cup for boys. Please check our sponsor list to find some great hockey shops that can provide you with all your inline hockey equipment needs. How safe is this sport and do injuries occur alot? Minor injuries sometimes occur, but the utmost care and attention is provided when this happens. Our coaches and referees have all received training in the Heads Up! concussion program provided by the Center on Disease Control and Prevention. How rough is the sport and is there checking? The game of inline hockey is non-checking. While incidental contact may occur, deliberate body checking is not permitted and our referees will penalize any such actions. What is the role of parents in the league? Parents, besides supplying registration fees and equipment for their child, are encouraged to volunteer for various league activities such as coaching, assistant coaching, promotional activities, concession stand, rink maintenance, and other things to help our league grow and, at the same time, be a rewarding experience for our kids. Above all, parents are asked to maintain a high level of conduct, class, and sportsmanship. Parents now must strictly follow a code of conduct adopted by the GBHC Board of Directors. Following this code of conduct is essential to the success of our league and anything contrary to this will not be tolerated. There are now laws in place in the state of New Jersey requiring parents to adhere to a specified code of conduct during games. This code of conduct will be posted at the rink and be strictly enforced by the league. All parents are asked to exhibit behavior that our players can be proud of and, in fact, learn from. In general, our parents have shown a great sense of responsibilty which has led, in large part, to the success of our league. How do I fulfill my Work Bond? A great way to fulfill your work bond requirement is to sign up for volunteer work at the Snack Shack or by assisting with rink maintenance and cleanup. Maintenance and clean-up tasks may include sweeping leaves, drying the rink, emptying trash and recycling containers and other tasks needed to help get our rink in playing condition. Be sure to ask about scheduled clean-up days that may take place before and after the season. When are games and practices scheduled? Games usually begin at 12PM on Saturday and Sunday. Our Learn to Play division plays at 10:30AM each Saturday. Our Division 4 and Division 3 games begin at 12PM on Saturday's and our Diviosn 2 and Division 1 games begin at 12PM on Sunday's. Rain make-ups for the Division 4 and Division 3 are usually scheduled for Sunday afternoons while make-ups for the Division 2 and Division 1 are usually scheduled for Saturday afternoons. Practices take place during the week in a 5:30, 6:30 or 7:30PM timeslot. Is the league limited to just kids in the Green Brook area? No way! We accept registrations from any town in the state. Our league consists of kids from as far away as Phillipsburg and Hoboken! Is this league just for boys? Absolutely not!! Some of our best players in the league are girls, so if you know any girls who may be interested, by all means tell them our league will be a fun experience for them. How good a skater/player does my child have to be? All skill levels are acceptable in our league. Yes, even if your child barely knows how to skate he/she will learn some fundamentals of both skating and hockey skills. Many of our coaches can tell alot of great stories of progress with so many of our kids in the league over the last couple of years!! So if your child is a beginner in either skating or hockey, this is a great place to start!! Are there rules concerning coach and parent conduct? Without question. Rules of fan/parent behavior are posted at the rink and we encourage our fans and parents to constantly review these and make sure you follow the rules of conduct. Failure to adhere to these rules may result in expulsion from the rink area and, if necessary, from the league. The same goes for our coaches, who also have a set of rules concerning their behavior behind the bench. While there have been some rare incidents requiring disciplinary action over the past few seasons, we are happy to say that most of our coaches and parents have exhibited discipline that their children can be proud of. Still, violations of these rules of conduct will not be tolerated and any disciplinary action that might be necessary will occur at the discretion of the board of directors. Remember parents and coaches, this league is for our kids...let's never lose sight of that!!! Each of our games consists of 3 thirteen minute periods. The clock runs continuously through each period with the exception of the last 2 minutes of the 3rd period, where a ref's whistle will stop the clock providing that the score is either tied or a two goal difference. In the event of a tie, there is no overtime, except in the playoffs. In the playoffs, in the event of a tie there is a five minute sudden death overtime period. If the game is still tied after that, then we go to a 3 round shootout.